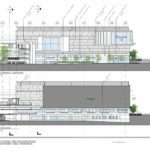 A proposed addition to east end of the Lloyd Center has gone before the Design Commission to receive Design Advice. 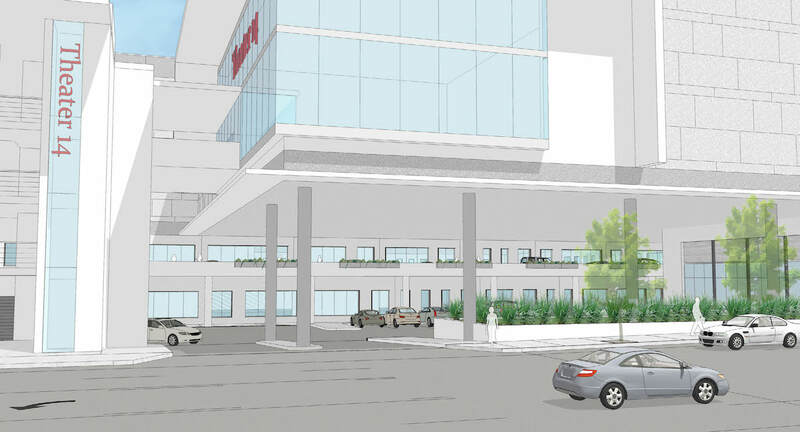 The project is being designed by LDA Design Group of Burbank, California. 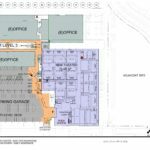 It will include the renovation and remodel of the lower two floors of the anchor building currently occupied by Sears, for multi-tenant retail / office. At the third level the building will include a new 14 screen theater. The existing anchor building was built for JCPenney in 1960, and then later expanded by Sears. The sale of the Sears building to the owners of the larger Lloyd Center was first reported by the Oregonian in November 2016. 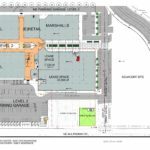 The theater addition is one of a number of ongoing remodel projects at the Lloyd Center, including the new entry and plaza and the west anchor remodel at the former Nordstrom location. 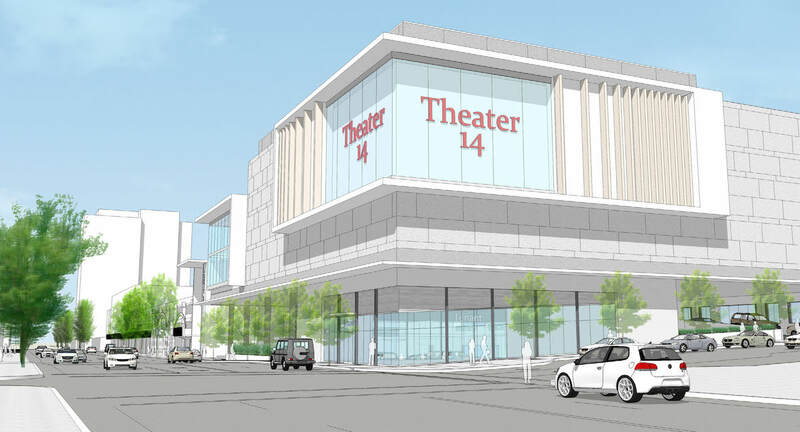 The new theaters will replace the existing cinema and associated parking, which are being displaced by the 1510 NE Multnomah and 1400 NE Multnomah developments respectively. 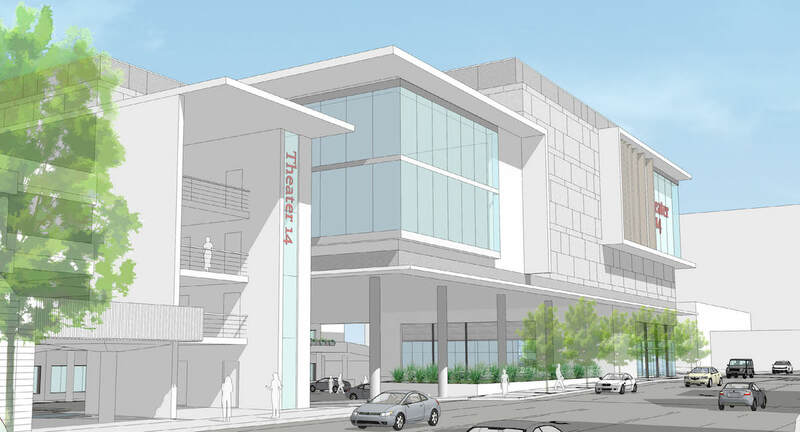 The new theater will have direct access from NE Multnomah St via a new stair and elevator structures, leading the fourth level of the existing parking garage. A covered walkway will connect the theater to the office level of the mall. 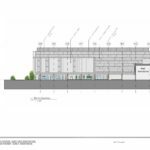 At the corner of NE 15th and Multnomah a standalone retail space of approximately 5,600 sq ft is proposed. 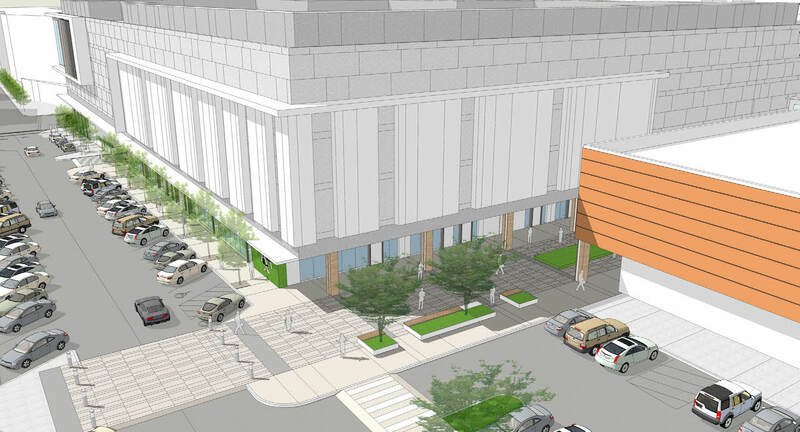 Exterior materials proposed for the building include cement plaster, porcelain tile and metal panel. 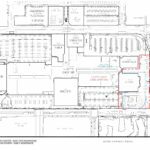 The existing private drive on alignment with NE 15th Avenue will remain, with the parking re-configured as angled parking to serve the Lloyd Center and the 1510 NE Multnomah development to the north. 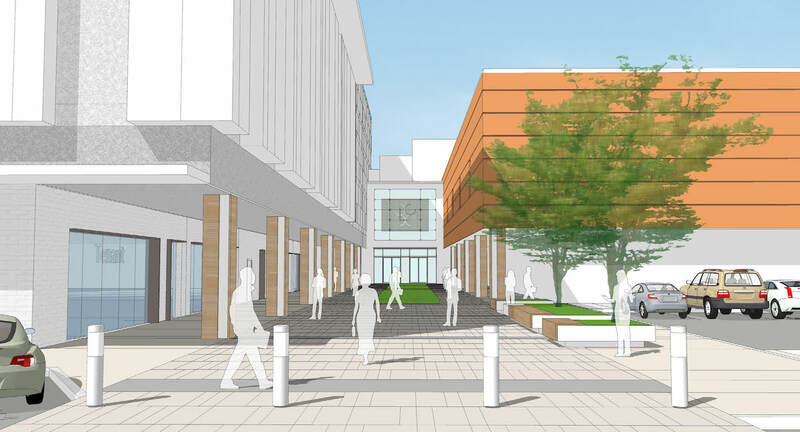 An original entrance to the mall, adjacent to Marshalls at the second level, will be reopened. The project went before the Design Commission for Design Advice on April 13th, 2017. 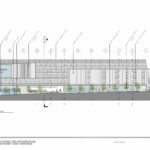 Commission comments focused on the pedestrian experience along NE Multnomah St and the NE 15th Ave private drive; the architectural expression of the new box, which has limited opportunities for glazing above the ground level; and whether the new retail space on NE Multnomah could extend further into the space occupied by surface parking and stormwater planters. 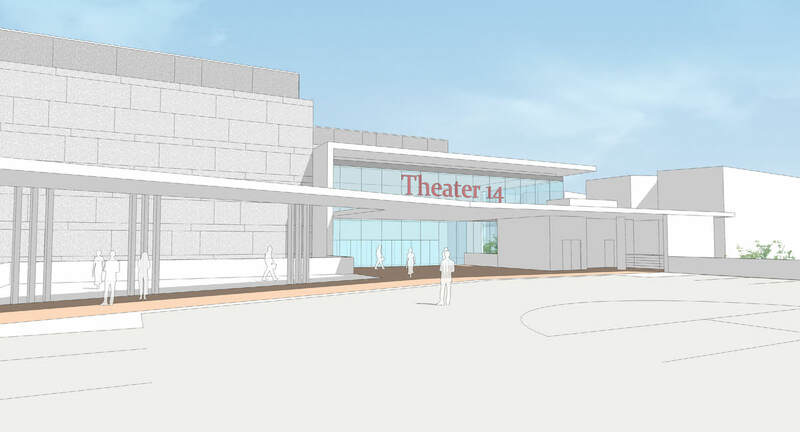 The Lloyd Center Theater Addition is currently scheduled to return in front of the Commission for a second advisory hearing on June 8th. This entry was posted in LDA Design Group, Lloyd District, Lloyd East Anchor Remodel. Bookmark the permalink. I like that the mall plans to replace the theater here, but the ground level seems less than ideal. The need for access off Multnomah for loading/deliveries makes sense, but I’d love to see them remove that little section of surface parking, as well as the two-way drive connecting that area to the parking garage. There’s really no need for that circulation, or for that surface parking with the large garage right there. 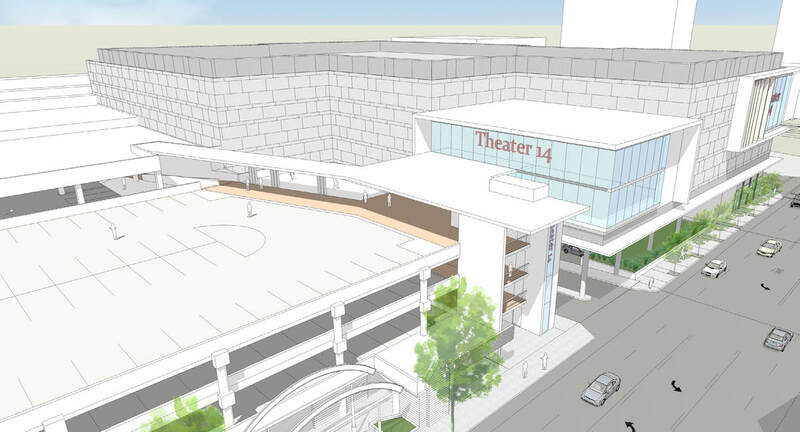 The driveway underneath the theater addition should just be for deliveries and loading, and all regular mall traffic at that part of the mall should only use the entrances off 13th or 15th. That would limit the amount of traffic using that driveway and would open up a decent amount of extra space for more retail or office (or maybe a play area / child care place for movie goers to drop the kids off at while they catch a show? ), while still retaining plenty of access for the garage. Glad to see New investment at Lloyd Center. Not the most exciting design, but non the less a major step in the right direction. It will be fun to watch how this all turns out . . .
second verse. Same as the first. Lloyd center has undergone revitalization before. To see how successful this time is, just look at all the new stores opening there. Millions invested and nothing new? Just across the street in the middle of the afternoon a kid was murdered over a belt……. The investors at Lloyd Center had nothing to do with that very bad incidence. If I recall it was a kid that was not even a local resident, like from Vancouver WA. So please don’t blame all bad behavior on local kids. I said absolutely nothing about local kids. The local area has a lot to do with people either coming there or going somewhere else. Unfortunately, Lloyd center has a well deserved reputation for this type of behavior. Local kids or bad kids from that scary Vancouver. If we stop investing in our communities because of bad kids Rome would have be deserted 2000 years ago! If the owners of Lloyd Center what to invest in their properties, more power to them, it’s their money. 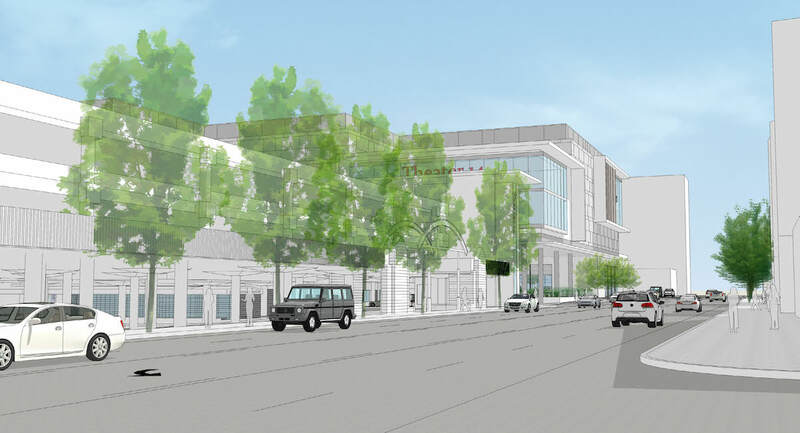 BTW more the $400 million is alreading planned in that area more redevelopment . . . .
planned, as in the Oregon Square development that was halved, and now on hold? for lack of interest? People know the area. They could try turning the food court into a cart pod with a hipster bar. I’m actually sort of serious. 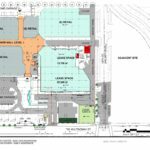 What kind of opportunity is there to influence the construction of the proposed driveway on Multnomah? I’m sure it’s not the point of the renderings, but the way they’ve illustrated it is the *least* pedestrian a friendly possible design. It’s almost as if they went out of their way to make a bad driveway crossing. Is this something appropriate to bring up at the Design Advice hearing? Does the Design Comission cover streetscape design? if not, who does? The Design Commission doesn’t have authority over the right-of-way. As part of the project they’ll probably have to rebuild the sidewalk and driveways, based on current ROW standards. That’s handled as part of the Public Works Process, which is very strict about creating pedestrian friendly streets. 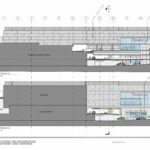 Nick: The problem with this whole design is it needs vehicle access through the ground floor as an exit from the underground loading dock at the east end below the Sears location as well as another loading dock there. Currently they exit through that parking area. Unfortunately, providing for WB-50s in that driveway will make it overly wide. But, putting a column in the middle of the driveway makes it even wider. Unfortunately, by the time PBOT sees it, they won’t have the ability to move the column. So I hope Design Commission looks at that wide driveway (on the property side), to deal with that issue. Which movie theater chain are they going with? Are they continuing with Regal, or are they snubbing Regal and swapping out for Cinemark?